Guest post by Meaghan Yorke, content writer for DesignRush. Artificial intelligence and voice technology are shaping an exciting future, and we collectively anticipate the era when voice assistants will become as commonplace as websites. As people are getting increasingly comfortable with this technology and the leading voice assistants are becoming a part of the average home, a new field of opportunity is opened to marketers. For now, it’s an exciting, uncharted field which only the most innovative and digital-savvy marketers are willing to explore. But in the future, a brand’s AI can become its primary ambassador and a regular point of interaction with consumers. In this evolutionary phase of adopting the rapidly advancing voice technology, one question arises – How can businesses brand voice assistants to truly make the technology work as their ambassador? You need to determine what the voice assistant will actually be saying, and this is a delicate matter which goes far beyond pure functionality. Just like you carefully craft web copy, the vocabulary and phrasing of your voice assistant must appear intuitive to your brand in order to serve its purpose and feel natural to customers. In order to get this right, you first need to establish clear goals and guidelines regarding your brand identity and if necessary, redesign your company website to make it highly representative of this image. You can filter-search custom software development companies and sift through their portfolios to see how experts can help you integrate software and marketing solutions to maintain a consistent brand voice across all channels. Without all of this, your voice assistant can’t possibly be an extension of your brand and you won’t have any orientation for crafting its figurative “tone of voice”. 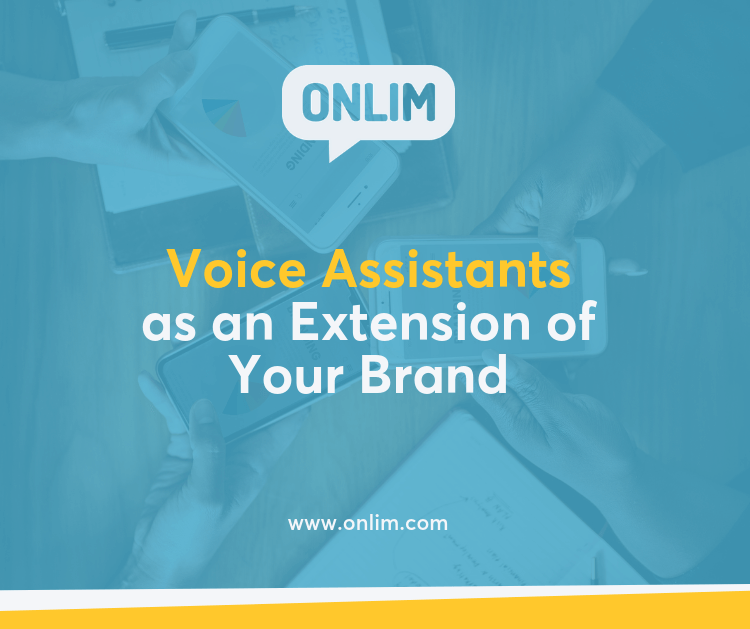 When you do have the foundations of your brand identity established through your website, web copy, and marketing campaigns, you can build on these foundations by carefully determining your voice assistant’s phrasing and mode of communication. For the first time in marketing, “brand voice” takes on a literal meaning. When a person is communicating with a machine, the machine’s tone of voice could make or break the experience. There’s no face to the assistant or an image for the person to relate to, so the voice needs to be perceived as a bridge which helps form a connection. The most important thing is that the tone of voice is aligned with the message the assistant is delivering – just like people communicate between each other. For example, if the virtual assistant is delivering a serious message or helping the customer deal with an issue, you’d want it to maintain a serious tone. On the other hand, if it’s assigned to book a holiday or provide tourist info, you’d want it to exhibit a light and upbeat tone which will undoubtedly complement the customer’s own emotions on that occasion. In this day and age, marketers have a responsibility to participate in the socio-political narrative to a certain extent. Turning a blind eye to relevant issues and the dialogue on equality and social justice will cost marketers much more than they can anticipate, as the majority of modern-day consumers expect brands to show a certain level of social awareness or even take sides on certain matters. That being said, certain decisions regarding the design of your voice assistant shouldn’t be left to chance. This includes the voice gender, age, and even race and personality. Remember, you’re developing an assistant to suit the needs and values of a wide and diverse consumer base. Of course, the smartest direction to take would be to craft your voice assistant using a diverse set of consumer data. This way, you can avoid potential biases and design an assistant that resonates ideally with your audience and feels entirely natural for them to communicate with. As artificial intelligence expands into our lives, the world-changing innovation carries with it one main motif: the question of ethics. Marketers who take on the endeavour of developing a voice assistant for their brand have to understand that they’re at the helm of a technology revolution where innovation can’t be prioritized over transparency and ethics – otherwise, we could be heading into a deeply twisted future. The laws will evolve along with the technology, but for the time being, it is up to marketers to maintain the transparency. 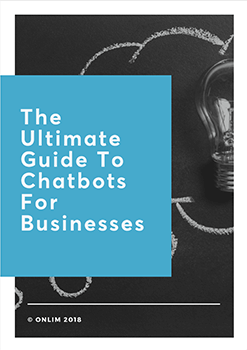 For example, we expect the human and automated voice to become indiscernible from each other at some point in the future, and if this happens, we need to ask ourselves – Should consumers be notified that they’re not talking to a human? Perhaps they might not even care, but it is questions such as these that we need to keep in mind when developing sophisticated technology in the years to come. All in all, voice technology has opened a new medium, allowing brands to build connections with consumers and make the customer experience engaging and seamless. It’s all still in the earliest stages, however, it’s important to consider now what these innovations can do for marketers in the future. But in order to build the artificial brand ambassadors of tomorrow, a brand needs to establish a strong identity first. With a well-established brand image and some smart decision-making, a voice assistant can become the ideal extension of your brand. Meaghan Yorke is a content writer for DesignRush (https://www.designrush.com/). These days she is all about researching various IT related topics. When she is not working she enjoys dancing classical ballet.